View inventory with a single click, sort dealer inventory list by make, model, stock number or days in inventory. Click on any entry to view or edit the full inventory information, including VIN number, license plate, stock number, Mileage and DMV Title Status. Track all expenses by stock number including- flooring, reconditioning, commissions and purchases. Print barcodes, labels, jacket sheets, buyer’s guides, and window stickers. 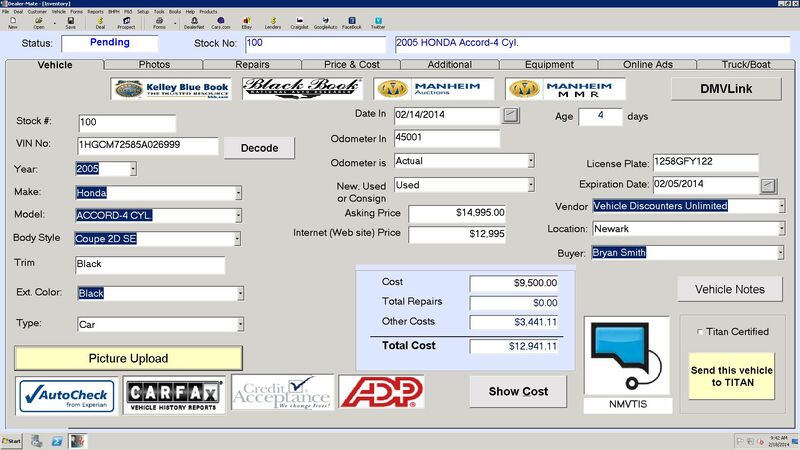 Integration with Kelley Blue Book®, Black Book®, dealers can view and publish inventory to dealer websites and many third party sites such as Craig’s List, Cars.com, Autotrader.com, eBay Motors, and Facebook automatically. Sort, view and edit complete inventory easily. Clicking on any vehicle brings up a window where its details can be changed. Dealer-mate is designed for simplicity. 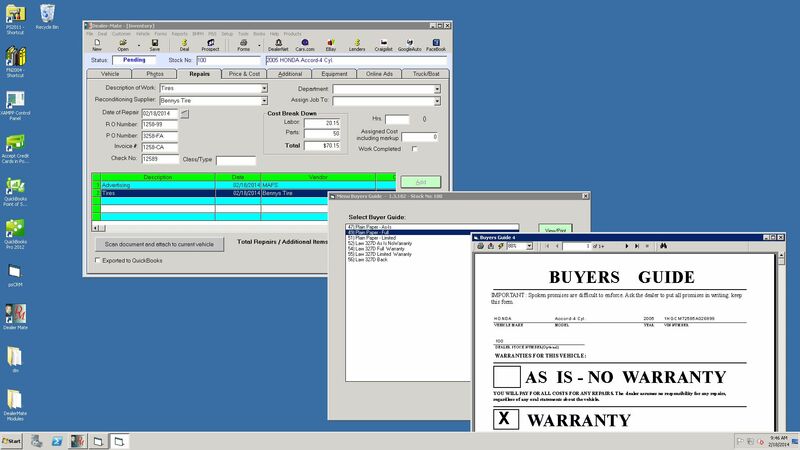 Our software makes it easy to manage your inventory, even if it’s spread across multiple dealership locations.